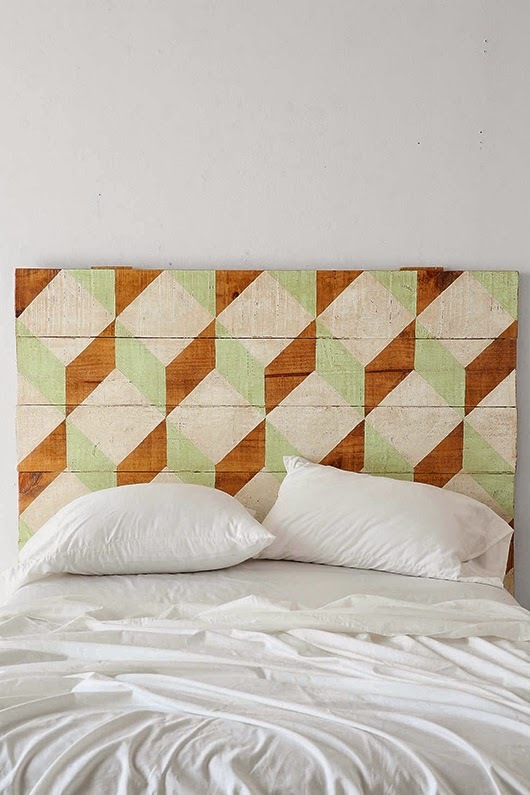 avant garde design: geometric headboards. 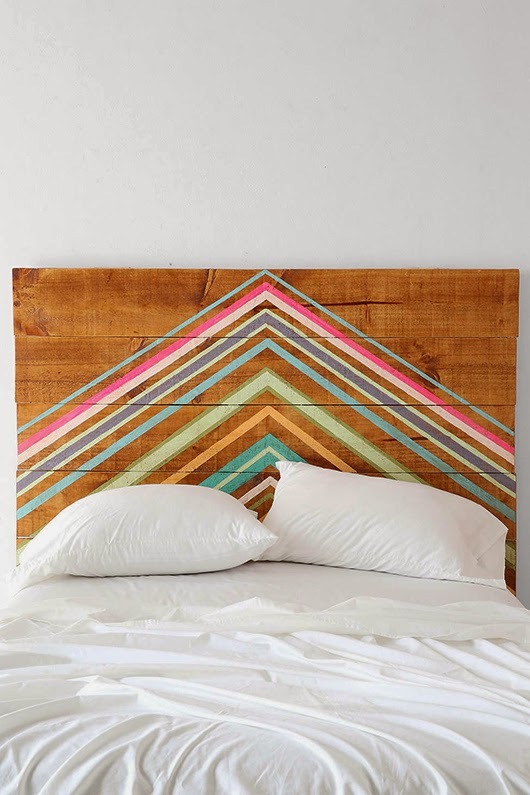 did you guys see this very cool post on sf girl by bay's blog? she featured these and I LOVE THESE BEYOND WORDS. 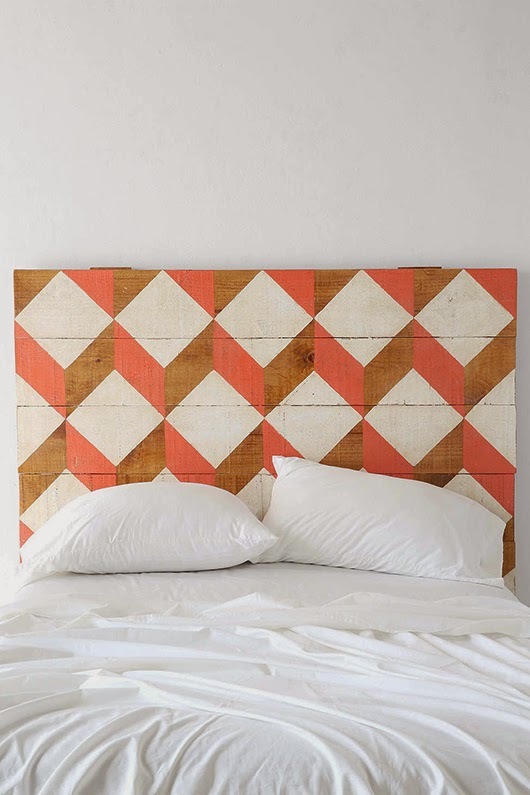 they're rustic wood headboards painted with sensational geometric patterns, and offered up by urban outfitters. now i love urban outfitters, but even for them, these seem a little pricey. i sense a do-it-yourself project emerging. do you? enjoy!